It is a good idea to use ideal weight calculator to find out what your ideal weight is before you begin changing anything in your body. Historically women always wanted to weight less that they did and men wanted to appear heavier than they were. But right now many people started to realize that being healthy is by far more important than all those crazy ‘beauty tricks’. Have you ever heard of 36-24-36 (or 90-60-90) chest-waist-hips measurements? It represents the manifestation of an ideal beauty standard - a paradigm that was born in the mid 50’s and still is a prescription of a perfect female body. Well a friend of mine who is 5’11” tall would probably look hideous with such proportions. Thankfully she knows better. But many women try to reach this size no matter what their height or body constitution is. I put this example here for you to realize that your health should be a key factor in determining your optimal weight. Do not set yourself unrealistic goals – you will look beautiful only if you are healthy. Plum radiant skin, silky and shiny hair and a smile on your face is what makes you beautiful, and not those numbers on your scale or measuring tape. Same of course applies to men. Normal and natural looking body is the most attractive to everyone. And all that comes with a healthy lifestyle ‘package’. Remember that being healthy will make you feel satisfied with your life better than any beauty canons. But of course using ideal weight calculator to figure out your optimal weight range will not hurt you. 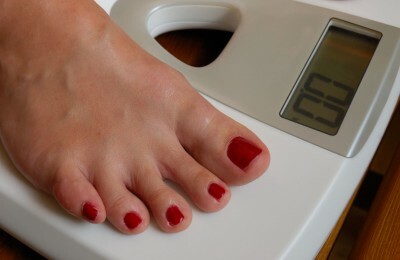 On the contrary, it will give you a good estimate of how much you should weigh in order to maintain a healthy lifestyle. For instance, I am 5’8” tall so my ideal weight range is between 122 and 164. In other words I have 42 pound to spare! I personally think that this is a bit too inaccurate because there is a huge difference between those two end-numbers. There are three easy steps you need to take to determine your ideal body weight. Obviously, this method will give you rough estimates too, but they will be closer to what you should be aiming at. To get more exact numbers we need to take our body type (frame) into consideration. After you determined what your body type is, you have to adjust your ideal body weight accordingly. If you are small boned subtract 10% from your actual body weight, if you are medium boned do not change anything, and if you are large boned add 10%. Here is an example: my height is 174cm. Step 2: I measure my wrist: it is 15 cm, so my body type is small boned. Hence, my adjusted ideal body weight is 62.1 kg or 137 pounds.